Poetry allows us to see the world with new eyes. 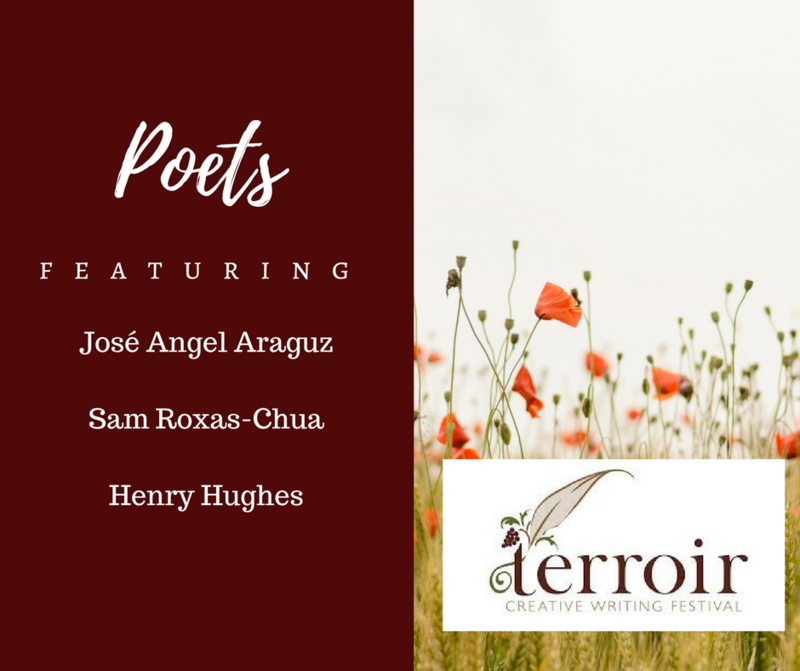 These poets, our guests at Terroir 2018, will help you look at your poems with a fresh perspective. 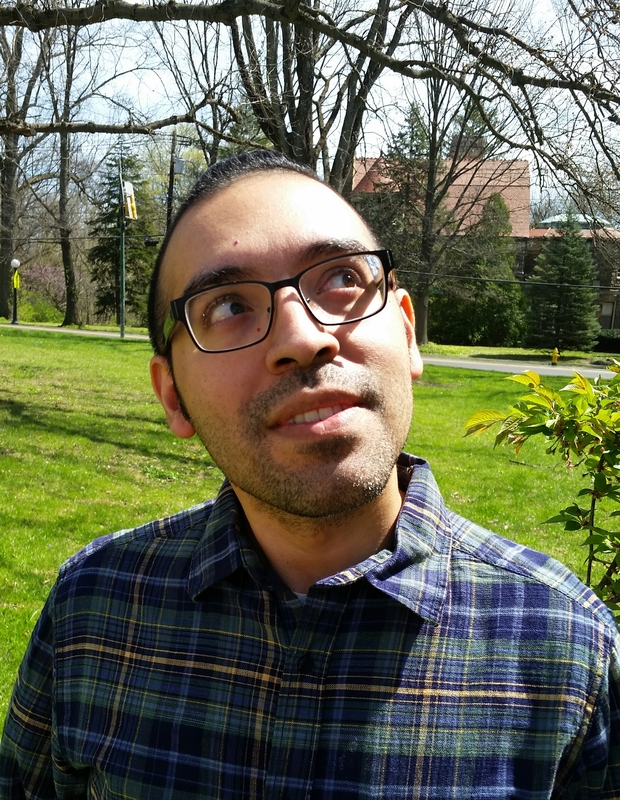 José Angel Araguz is a CantoMundo fellow and author of seven chapbooks as well as the collections Everything We Think We Hear, Small Fires, and Until We Are Level Again. His writing has appeared in Hunger Mountain and Prairie Schooner. He runs The Friday Influence and teaches at Linfield College. Through a series of exercises and readings of poetry and short prose, this workshop focuses on discussing and identifying ways we can discover what a piece of writing wants us to do through expansive reading and writing. Forms to be discussed include haibun, pillow books (zuihitsu), prose poems, and haiku. 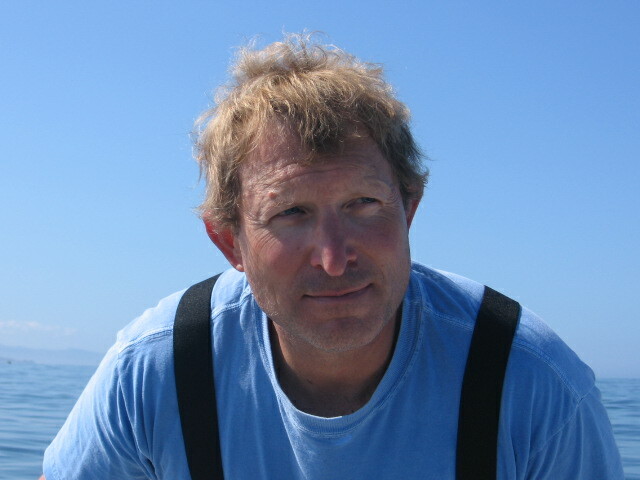 Henry Hughes is the author of four collections of poetry, including the Oregon Book Award-winning Men Holding Eggs and the fishing memoir, Back Seat with Fish. An active curator of angling literature, Hughes edited two Everyman’s Library anthologies—The Art of Angling: Poems about Fishing and Fishing Stories. He teaches at Western Oregon University. In an age when it seems like there are as many poetry journals as poets, a sea of self- and industry-published books, and thousands of writing workshops, conferences, retreats, and programs, how do writers cultivate and keep faith in their own original work? Does this “crowd” of writers affect the way you write? Do you think your voice matters? Why does it matter? Sam Roxas-Chua Poet Joseph Stroud says, Every now and then a unique, distinctive voice will appear on the literary scene, as if from out of nowhere. Sam is a poet and visual artist from Eugene. 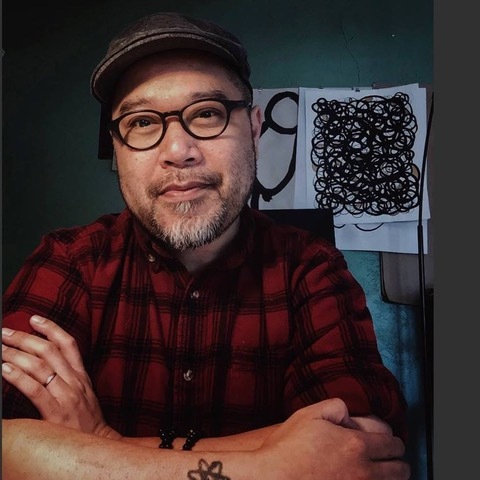 He’s the author of Fawn Language, Saying Your Name Three Times Underwater, and Echolalia In Script—A Collection of Asemic Writing. Learn skills to deeply listen to a poem using visual art and asemic writing. Asemic writing is a unique and open form of script that can awaken and strengthen the relationship with your work. You will be guided in writing exercises with a companioning and contemplative approach. Registration is coming soon! Stay tuned! In the meantime, you can follow us on Facebook.